Desinen Subbaram Naidu received MTech & PhD in Electrical Engineering, from Indian Institute of Technology Kharagpur (IITK), INDIA. He taught, visited and/or conducted research at IIT; National Research Council (NRC) Senior Research Associate at Guidance and Control Division at NASA Langley Research Center, Hampton, VA, USA (1985-90); Old Domain University, Norfolk, VA, USA (1987-90); as Professor, Associate Dean and Director, School of Engineering at Idaho State University and Measurement and Control Engineering Research Center, Pocatello, Idaho, USA (1990-2014). Since August 2014, he has been with University of Minnesota Duluth as Minnesota Power Jack Rowe Endowed Chair and Professor of Electrical Engineering. 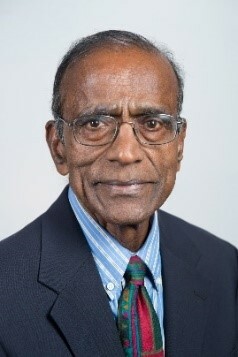 Professor received twice the Senior National Research Council (NRC) Associateship award from the US National Academy of Sciences (NAS), and is an elected (1995) (now Life) Fellow of the Institute of Electrical and Electronic Engineers (IEEE) and an elected (2003) Fellow of the World Innovation Foundation, UK. His teaching and research interests are Electrical Engineering; Control Systems; Optimal Control: Theory and Applications; Biomedical Sciences and Engineering (Prosthetics and Infectious Diseases); Large Scale Systems and Singular Perturbations and Time Scales (SPaTS): Control Theory and Applications; Guidance and Control of Aerospace Systems: Aeroassisted Orbital Transfer for Mars mission and Uninhabited Aerial Vehicles (UAVs); Advanced Control Strategies for Heating, Ventilation, & Air-Conditioning (HVAC); Modeling, Sensing and Control of Gas Metal Arc Welding (GMAW) and has over 200 journal and conference publications including 9 books. El-Sayed obtained her PhD in Chemical Engineering and Biotechnology at Cambridge University, UK. She worked as a visiting research faculty member at the University of Maryland Baltimore County (UMBC). She is currently an Associate Professor and Graduate Program Director at the Chemistry Department, American University in Cairo. El-Sayed has been awarded the Fulbright Scholar Fellowship along with other professional awards. She is also a member of a number of professional associations including ACS, AIChE and IChemE. Jaleel Kareem Ahmed has completed his PhD from Baghdad University. He is the Dean of the Institute of Foundry and Hammering. He has registered 8 patents with 40 published papers and 3 books. He is a member in Who is Who network. He is a reviewer in Jon Wily and Sons and Editorial Board Member of Science Publishing Group and a member in Encyclopedia of Chemistry Scientists. He has got the Iraqi Scientist Medal. 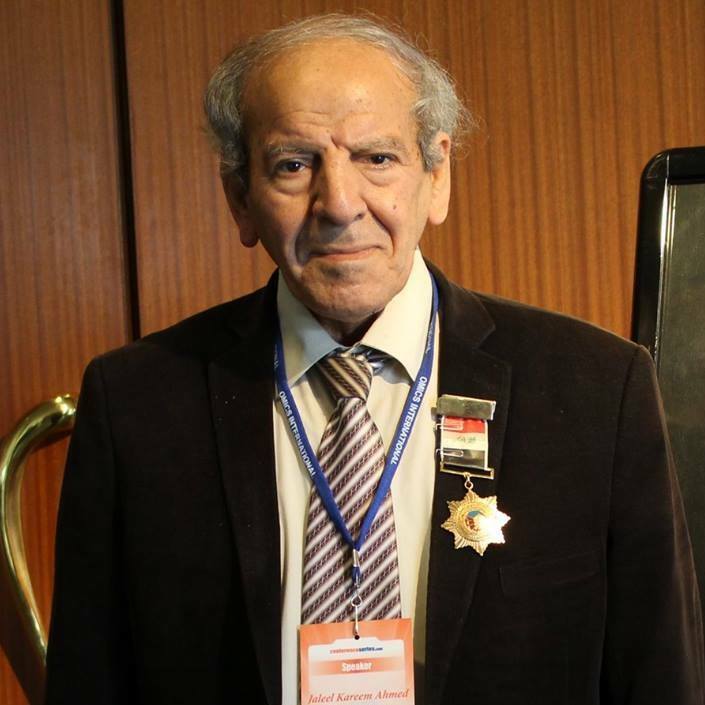 Currently, he is a Professor of physical chemistry in the College of Materials Engineering , Babylon University, Iraq. Dirk J. Broer is materials scientist specialized in polymer structuring. He joined Philips (Eindhoven, Netherlands) in 1973 where he developed materials for data storage, telecommunication and display optics. From 2003 to 2010 he was senior research fellow and vice president at the Philips Research Laboratories. 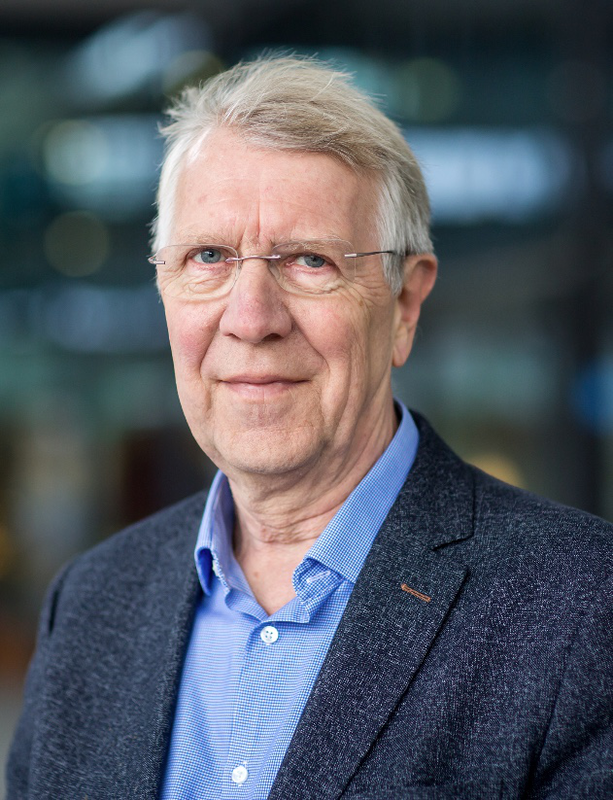 In 2010, he was appointed as fulltime professor in Eindhoven to chair the Department Functional Organic Materials with a research emphasis on clean technologies as energy harvesting, water treatment and healthcare. From 2015 he is staff member at the Institute for Complex Molecular Systems in Eindhoven and coordinates a program on responsive soft materials. He founded the Institute of Device Integrated Responsive Materials, a joint initiative of South China Normal University and Eindhoven University of Technology. He is member of the Royal Netherlands Academy of Arts and Sciences. In total, he has 275 publications in peer reviewed journals and more than 120 US patents. Prof. Nacci completed his PhD in Chemical Sciences in 1994 at Bari University (Italy). Next, he became researcher of Organic Chemistry at Chemistry Department of Bari University. In 2001 was visiting researcher at TUM University of Munich (Germany) and in 2005 became associate Professor of Organic Chemistry. He is currently the President of Chemistry Courses Degree at Bari University. Research interests are focused on: i) organometallic chemistry in ionic liquids; ii) green nanocatalysis; iii) CO2 capture and valorization and iv) synthesis and recycling of bioplastics. He is co-author of almost 80 publications on major journals, more than 60 Communications to Congress and 1 patent. Nuno M. Xavier (b. Nov. 1982, Vila Real, Portugal) received a dual Ph.D. degree in Organic Chemistry from the University of Lisbon and from the National Institute of Applied Sciences of Lyon in 2011, where he devised new synthetic methodologies for novel highly functionalized monosaccharide derivatives of antimicrobial potential. He worked afterwards as Postdoctoral Researcher in the University of Natural Resources and Life Sciences of Vienna in the synthesis of new potentially antibacterial heptose-based compounds. He carried out another postdoctoral research period at the Faculty of Sciences, University of Lisbon and in 2014 he became Researcher (FCT Investigator) at this Institution. His research activities, reported in more than 30 publications and frequently presented in international conferences, are within the context of organic and medicinal chemistry and focus on the development of new bioactive carbohydrate derivatives and nucleos(t)ide analogs as inhibitors of relevant therapeutic targets or disease-associated biological events.